Thank you for your interest in Judge Memorial Catholic High School. Our academics, activities, athletics, campus ministry, and Christian Service programs are designed to prepare every student for success, to grow in faith, and to become leaders in the community. We would love to have you join our Judge family! Click below to learn about our Shadow Program! Judge Memorial Catholic High School graduates attend a wide variety of some of nation's top colleges and universities. Showing the return on the investment parents receive from sending their children to Judge Memorial, and the measurable value of a Judge Memorial education, last year our graduating class earned over $18.6 million. Click here to view or see below the many achievements of our recent graduates, and where they have chosen to continue their education. 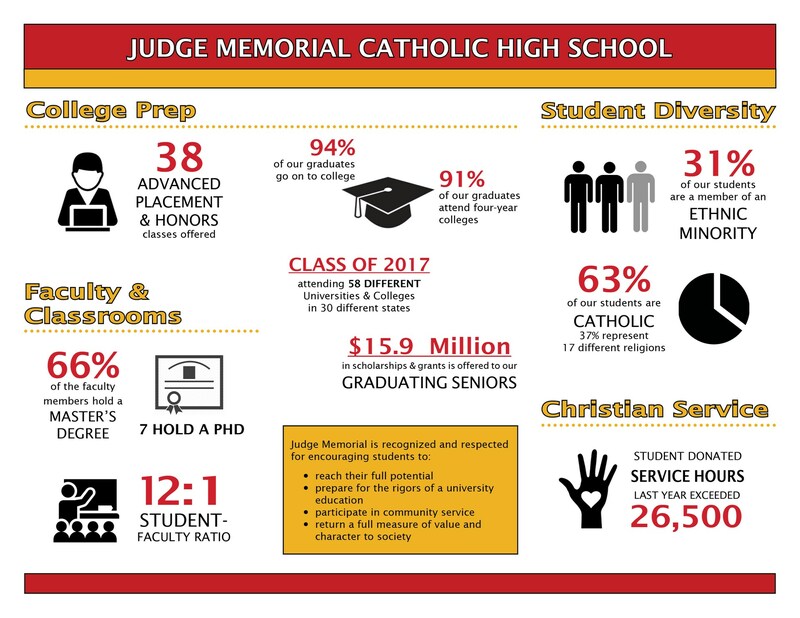 Thank you for your interest in joining the outstanding Judge Memorial Catholic High School community! Please let me know how I may assist you with the admissions process.